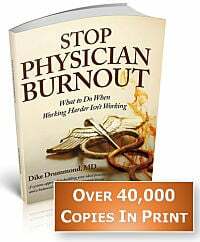 You MUST ask these if you are going to avoid the top three reasons employed physicians quit down the road. Let me give you the BIG LIST and a method you can use in your interview to make a quality decision about your contract. This is a Very Interesting set of questions to ask about your Current Job. The answers may surprise you and give you some ideas on how to improve the quality of your work day. Learn more and enroll today via This Link. - how do I get paid ? - what is the call schedule ? - what are my benefits and how much time off do I get ? These questions are important AND they give you no idea of what your day to day work experience will be - with this group - in this facility - in this larger organization. Remember that the top three reasons employed physicians quit are - culture - the way the group makes decisions - the quality of your immediate supervisor. This question list is designed to help you understand these important issues. 1) Take these as a written list. Yep, take a clipboard and this list so you make sure to ask all the questions. There is a piece of you that is hesitant to do this and will want to memorize the questions ... you are working too hard and that is just a piece of your physician programming. Honest ... take the list with you and take notes about the answers. Be "curious" and "confused", ask them to help you understand. You will be surprised at the candor of their answers when you adopt this attitude. 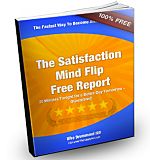 These questions are intended to give you specific information about the three main reasons you might eventually quit this position ... up front where you need it the most. I suggest you use these questions as raw materials to craft specific questions you would be comfortable asking in your interview. 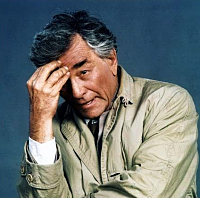 Then put them on a written list, take them with you to the interview and channel your best Columbo. How long has this group existed? Please tell me a little about its history. Is there a group mission statement? How would you describe the culture of this group? If there were one thing you could change about the group's culture, what would that be? How well do you feel the group members like each other? Do group members hang out together when not in the office? How much do you feel your partners "have your back"? Please tell me about the compensation formula? What physician behaviors is this compensation formula intended to motivate? If I worked here and wanted to maximize my compensation ... what is the simplest way for me to do that? Which do you feel the group values more as a whole ... making money or the quality of the care you provide? How much does the group believe that having a balanced life outside of your medical practice is important? What is the process you use to bring a new physician on board? What training, mentoring and coaching would I receive, from whom and for how long? Who are the physicians in the group that are currently in this onboarding process? May I speak with one of them? How does this group make decisions? How often does the group meet to discuss the practice and the systems used to deliver care? Has the group ever had a strategic planning retreat? If so, how long ago was the last one? Who are the leaders of the group and how are they selected/elected? What were the last three significant decisions the group made? What happens if one or more physicians disagree with a decision the group has made? What is the relationship between the physicians and the administration? What happens if the physicians have made a decision and the administration (CEO, Board of Directors, Executive Committee) disagrees? Who were the last three physicians to leave the group and why did they leave? May I have their contact information so I can ask them a few questions? Who would be my immediate supervisor or "boss" or the person in this group / organization that I report directly to? May I speak with them too? Do you still see patients? Does the group pay you for your leadership activities? If yes - do you feel it is a fair payment when compared with what you make seeing patients? What training have you had in physician leadership? Assuming I were to accept this position, how often would you and I meet? How would you like me to communicate with you if I have a question or concern? How would you communicate back with me and in what time frame? What happens if you and I were ever to disagree about a decision / project / action step ... what would we do then and how would we resolve our disagreement? What do you feel is the most stressful part of your job when you are serving as a physician leader? What is currently the biggest challenge to this group? What do you see as the biggest challenge to the group in the next 5 years? If you have an interview coming up ... make your list and take it with you. If you are in a position now and not looking to change ... I still suggest you answer these questions about your current group just to make sure you recognize these potential seeds of future discontent early. 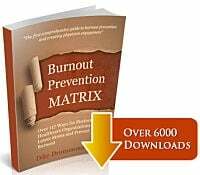 I my work as an executive coach with hundreds of over stressed doctors, it is not uncommon for them to quit a job and realize these issues only in hindsight. Don't let that happen to you. What are your favorite non-traditional interview questions?